Change your look with a new color. These kits contain replacement temple sleeves and nosepiece pads. They are made of Unobtainium, a proprietary Oakley synthetic that maximizes comfort while increasing grip with perspiration. Please note: Half Jacket 2.0 Frame Accessory Kits are not compatible with the original Half Jacket Frame. Change your look with a new color. 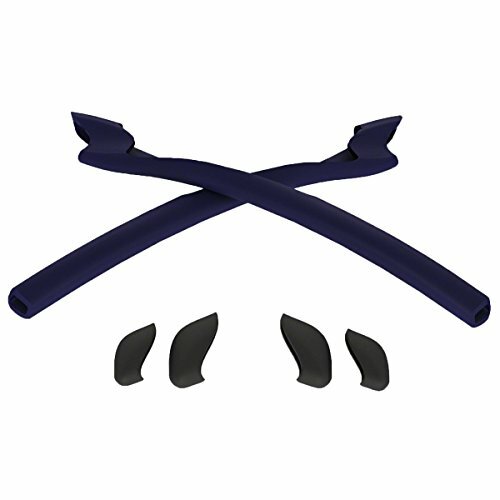 These kits contain replacement temple sleeves and nosepiece pads. Made of Unobtainium, a proprietary Oakley synthetic that maximizes comfort while increasing grip with perspiration.